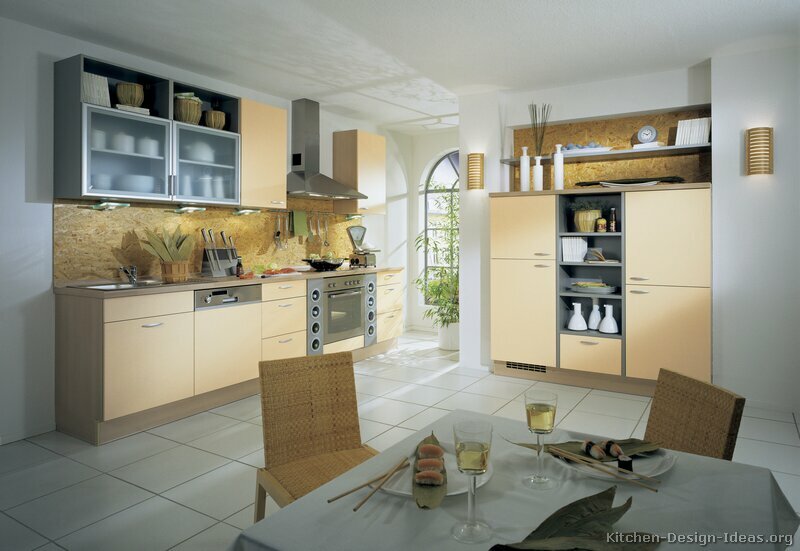 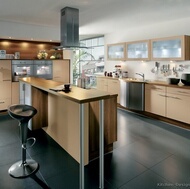 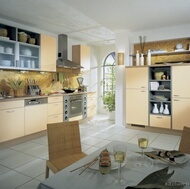 Beige Kitchens - Trends: Beige is fairly low on the popularity charts for kitchen colors. 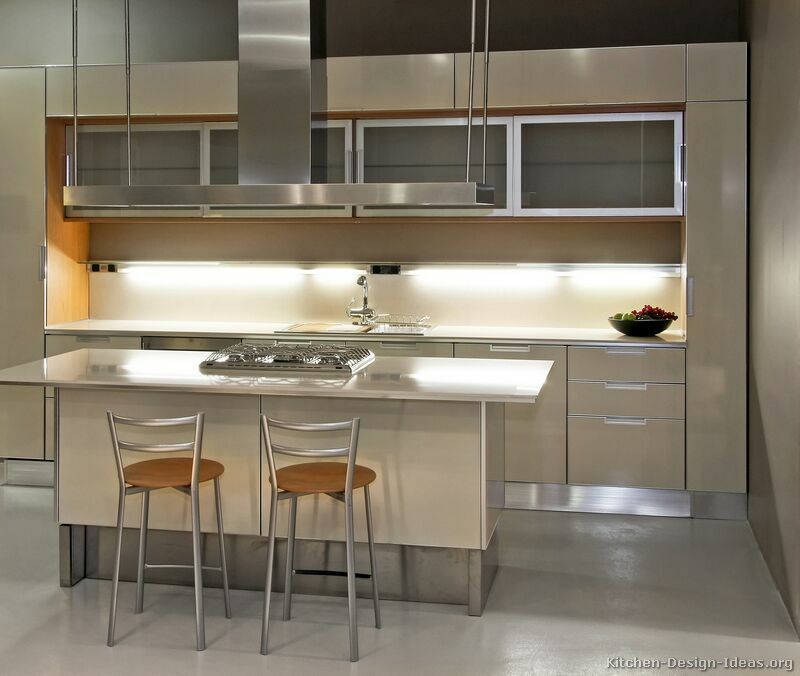 However, unlike bolder color tones that can shift with the fashion tides, a well-designed beige kitchen is a fairly safe choice. 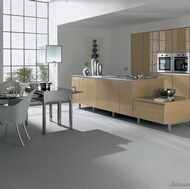 You'll find a handful of photos of modern kitchens on this site featuring beige cabinets as either the central color or as a contrasting accent in two-tone kitchens. 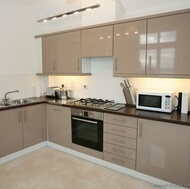 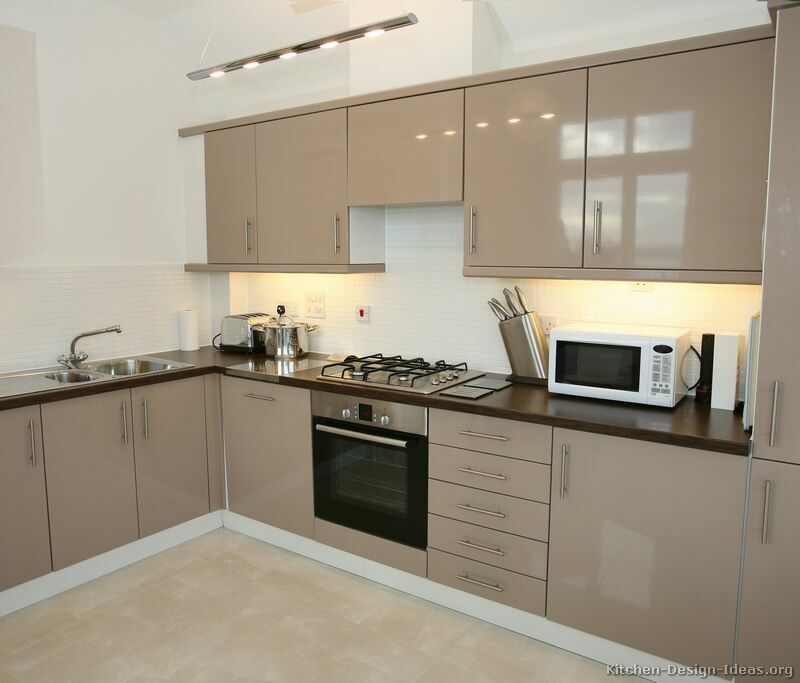 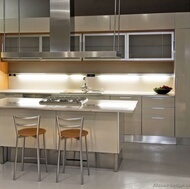 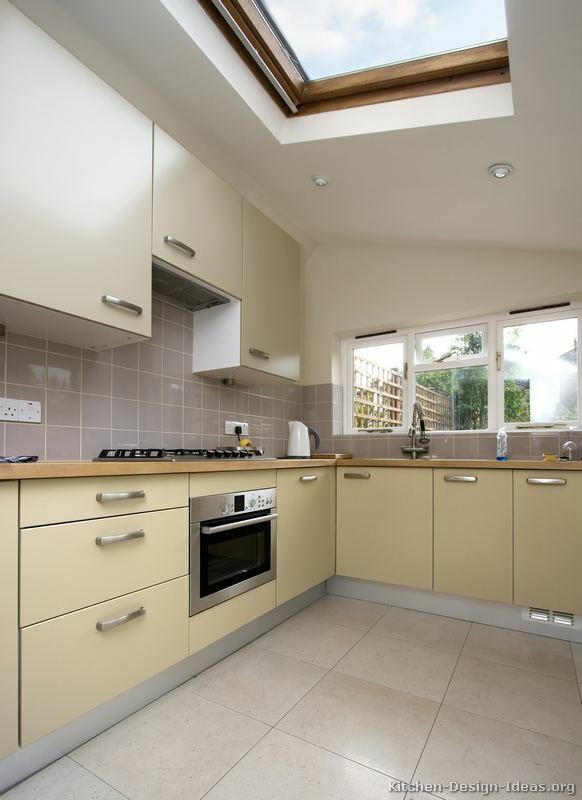 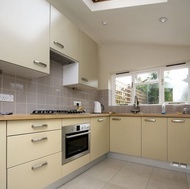 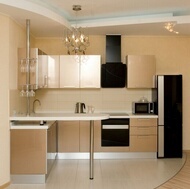 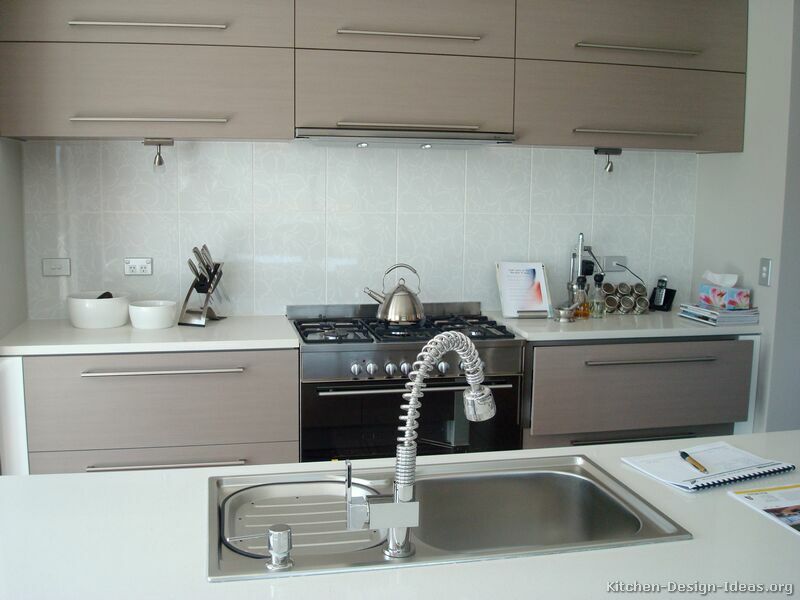 Beige Kitchens - Everyday Use: As opposed to pure white kitchens, beige kitchen cabinets are more practical. 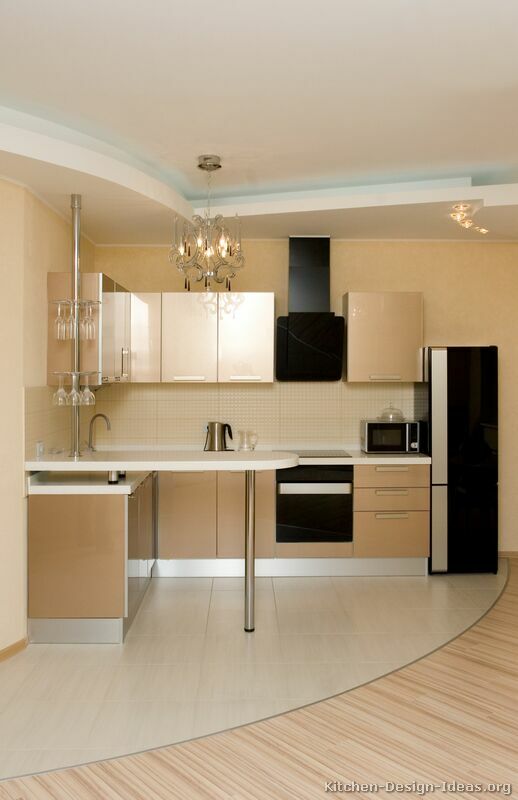 Since dark stains and smudges stand out visually on a bright white surface, beige colored cabinets require less frequent cleaning than white and off-white kitchens. 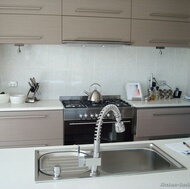 Still, cleanliness is key. 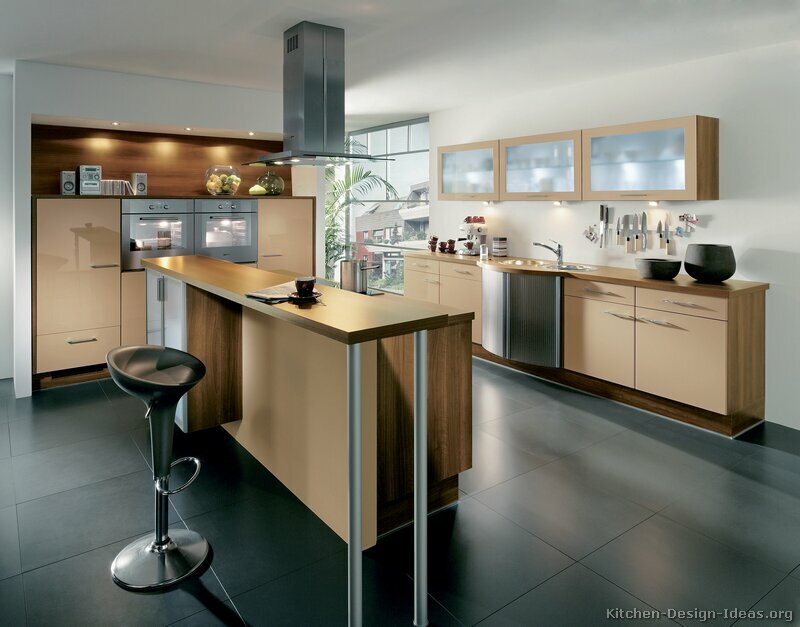 Knowing what to expect in advance can pay off with a lifetime of enjoyment in your modern beige kitchen.